Save the date! Interested to learn about wastewater treatment solutions and algae cultivation? 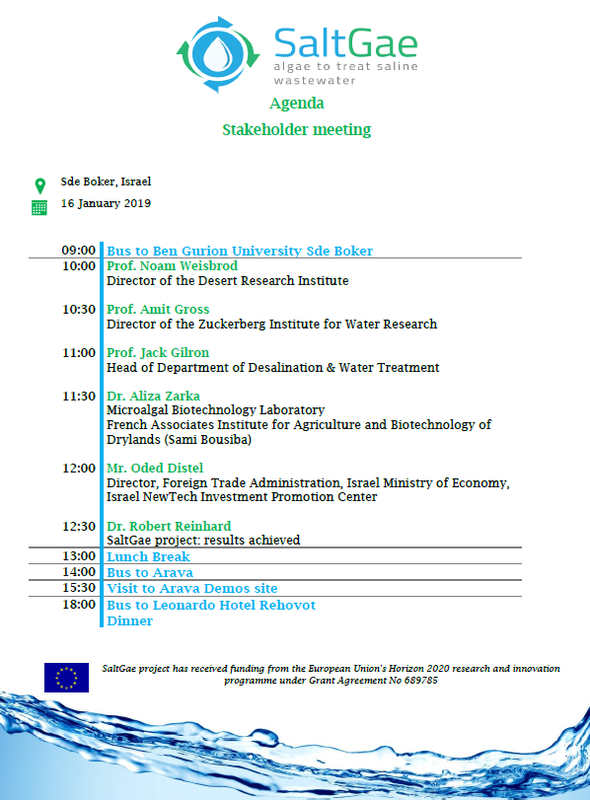 Join SaltGae H2020project workshop in SdeBoker, Israel. Click on the attached agenda and more information coming soon!